The landscape of mental health research is becoming increasingly digital. Clinicians are trying to bridge mental health research with artificial intelligence (AI) to make sense of the sea of data curated from medical records of an untold number of patients. 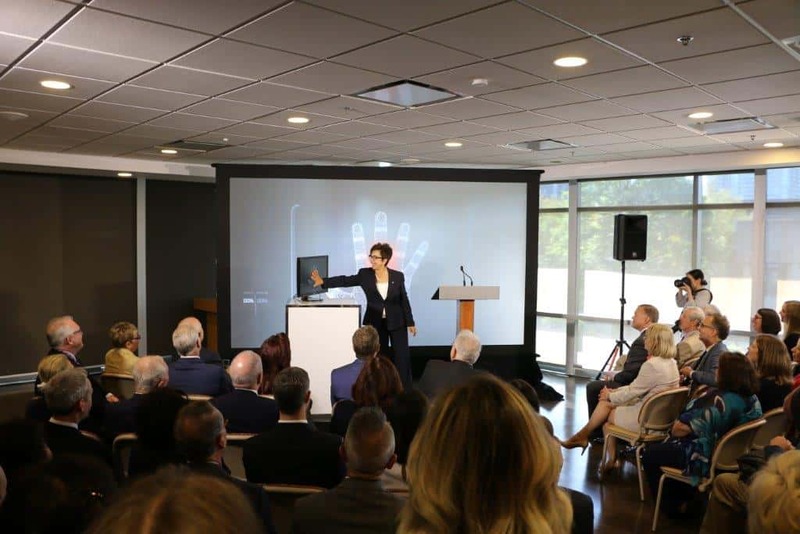 With a $15 million donation by the Krembil family, the Centre for Addiction and Mental Health (CAMH) opened the Krembil Centre for Neuroinformatics to “identify and treat mental illness, while shaping policy at national and global levels.” They will work toward one day delivering accurate and precise treatment to people with various mental illnesses. Dr. Catherine Zahn, President of CAMH, hopes that this venture will move the flourishing field of mental health research into clinics. With data containing “literally zillions of points of information… it [helps] to call on opportunities for high performance computing and machine learning for AI to help advance our understanding [of mental health],” said Zahn. Zahn said that the Krembil Centre for Neuroinformatics is an opportunity to recruit and retain computational scientists to query the aforementioned extensive data and to develop and test models to advance the understanding of the various points of data. Applying AI intervention in real clinical context has already proven to be a helpful aid for physicians in understanding various medical reports and histories of patients suffering from mental illnesses. According to Zahn, there are currently very poor techniques available to predict whether or not individuals with depression are at risk for self-harm and suicide. Using technology to analyze physicians’ and psychiatrists’ notes of patients’ conditions helps identify “clues that the physicians themselves missed, as it is actually a better predictor than the humans in predicting the risk for suicide. So, opportunities to digitize information like that and examining it and predicting it is a very practical and clinical opportunity for us,” said Zahn. “We know that a lot of what we do in healthcare and psychiatry is to prescribe treatments based on trial and error and based on our own experience,” she said, emphasizing that the accuracy of an AI method would be particularly helpful. One aspect of AI and machine learning is to discover patterns amid copious amounts of information and data that otherwise go unseen by humans. “[We can] capitalize on that ability to synthesize [a] large amount of data to recognize patterns that are beyond the capability of the human brain and to point them out to humans, [which] helps with decision making based on the recognition patterns,” said Zahn. Neuroinformatics can be viewed as the future for clinical-based treatments, one that will transform the way physicians and psychiatrists interact with their data in order to provide accurate treatments for their patients. “We are at a very special, unique moment in space and time… in the world of mental health because there is so much interest and there is so much opportunity to [understand] the brain and [its] environmental interactions,” said Zahn.